Scanned documents have a wide variety of uses in contemporary firms. These are easy to store and share and are widely used by all companies, irrespective of what they deal with. Scanned documents can be used for data entry or data extraction, as the need may be. As your business grows in size, the volume of documents also increases. You need a partner who can handle bulk document scanning services. You may employ a professional team under the payroll of your company, but the overhead costs drain down the resources. Alternatively, you can simply outsource document scanning services to Sasta. The experience and expertise that we shoulder hardly have any match in the industry. We have been dealing with international and domestic companies for long. Whenever you feel the necessity of scanning your documents, simply outsource the services to us. Technological know-how and infrastructure are the driving forces behind our repute. 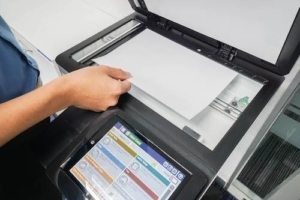 When you want a seamless backing for your company with document scanning services, count on us for the best returns. When you think of flawless document scanning services, you consider factors like compatibility to various formats of data, storing them in the right format and so on. You can simply outsource document scanning services to Sasta, and get rid of all the hassles in your business. In fact, these are not within the realms of the core-business goals and consume a lot of time. You can dedicate your valuable time to the critical aspect of your business, while we deal with your documents. You can specify certain recommendations when you outsource these services and we will adhere to your guidelines. The scanned documents remain safe in your drives and other storage spaces. These are prone to theft, unlike the traditional documents and are not affected by elements like water or fire. The soft copies can be stored across multiple platforms and you will have a better operational infrastructure in your organization. These documents are easy to share. The same document can use by multiple users at the same time across different platforms. This enhanced work-infrastructure and provides valuable support to your company. Fast services indicate low time consumption, so you can increase the productivity of your company when you count on Sasta. You can call us up anytime you require. We work in close association with the clients and you can place your requirements over the phone. When you come to Sasta, you get a platform where the best resources are available at extremely low prices. Since we care for our clients, we ensure low price packages and you are free to opt for any of the price slabs that we offer. Expertise: We are compatible with any file format of data and can scan them using the latest software. The technical expertise that you can avail at our desk remains your asset, as it is not possible to deliver swift services manually. Timely Delivery: Timely delivery of your services is one of our traits. So, you can outsource as many images as possible to us, expecting the returns in time. We never mess up with the deadlines. Customer Care Desk: Our dedicated customer support desk is friendly and hospitable. You will really enjoy the assistance that they provide. Along with these, we ensure data security to our clients. Get in touch with us, if you need document scanning services at affordable cost. We warrant you utmost contentment and commitment. If you would like to outsource your data entry work to India please fill in the inquiry form. Our Client Engagement Team will contact you.